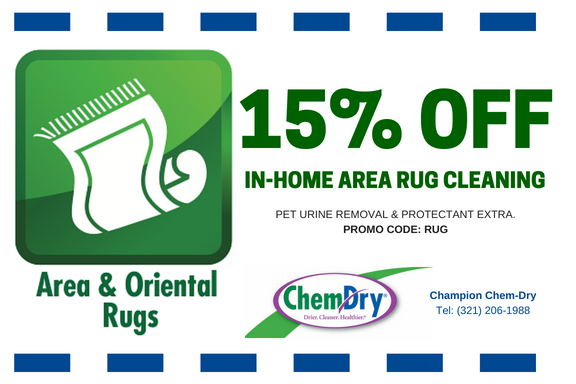 Current carpet cleaning specials for Brevard County, FL, including coupons for upholstery cleaning, tile cleaning and other services from Champion Chem-Dry Florida. Learn more about our services. 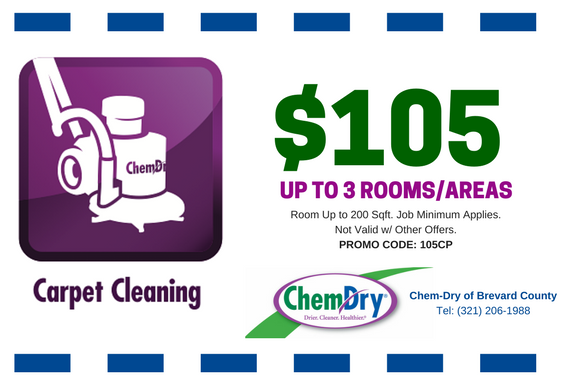 Call (321) 206-1988 and mention the promo code when scheduling your next service or schedule your appointment online and include the promo code in the form. 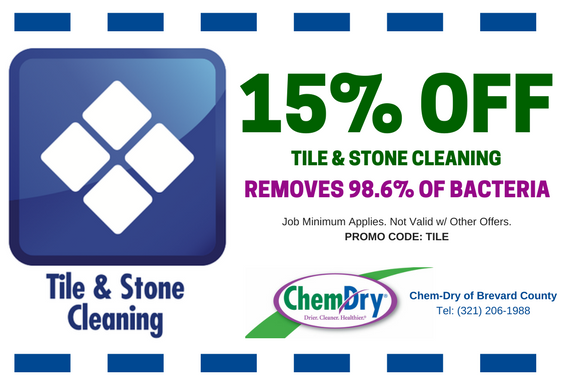 Click here for a free online estimate. 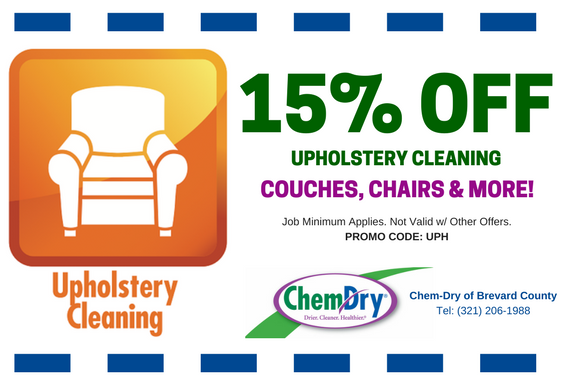 Be sure to check back for upcoming promotional prices and carpet cleaning specials.